This block knit tunic is bang on trend for Spring/Summer, knitted in Chunky yarn. Hooks required 2-5 1/2 mm (UK 5 - US 9) and 2 - 6 1/4mm (UK 3- US 10 1/2) Knitting Needles. 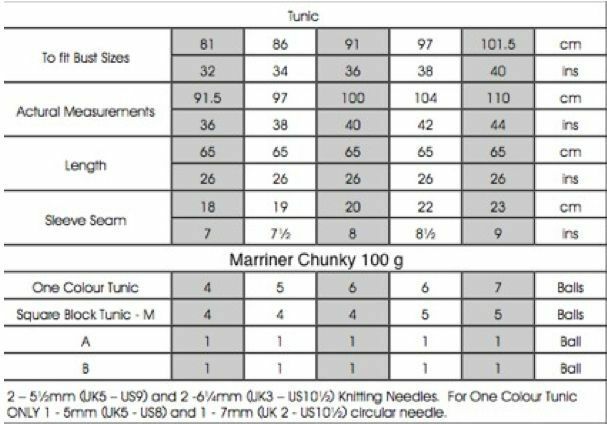 For One Colour Tunic Only 1-5 mm (UK 5- US 8) and 1-7 mm (UK 2 - US 10 1/2) circular needle.